Rocky IV’s memorable scene is that of James Brown, surrounded by Americana, introducing Apollo Creed on his march to fight the USSR’s Ivan Drago to the pop tune “Living in America.” It was not a subtle film. Creed II is the legitimate sequel then, pitting Creed’s son (Michael B. Jordan) against the son of Drago (Florian Munteanu). It’s much the same thing. Creed trains. Creed fights. Creed battles personal demons. 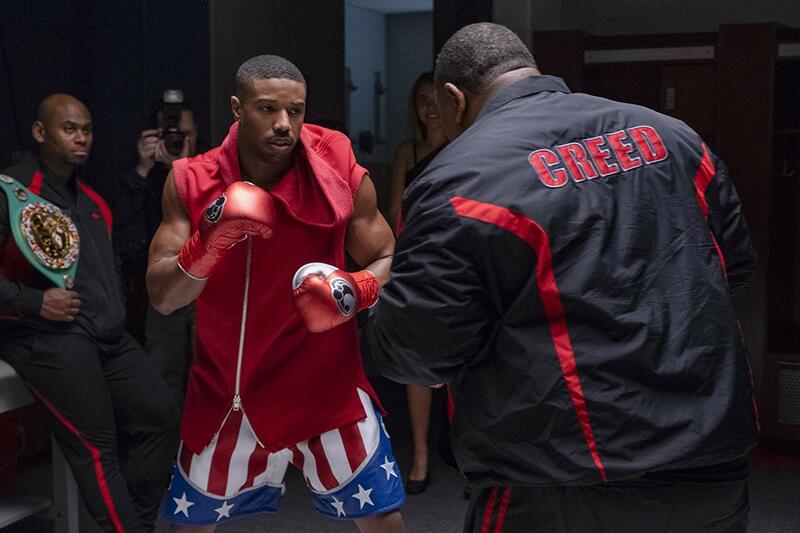 Although Creed felt different in establishing an urban flavor, Creed II rolls on rails. Safe, secure, and comfortable. The swerve happens elsewhere. Where Rocky IV sat dead center in the Cold War, with the USSR and America portrayed in a literal toe-to-toe slugfest, the real world atmosphere changed in the 30 years since. The USSR doesn’t exist. A war with Russia is fought silently, through social media. The same blustery patriotism that fueled Rocky IV is sauntering back through political rhetoric. In that sense, Creed II becomes the opposite of its predecessor. Adonis Creed doesn’t fight for country; he fights for himself and his legacy. Viktor Drago has no self, stared down by Russian elite who seek to use him for a nationalist agenda. He has no identity. Viktor is whoever he is told to be. This isn’t continuing the Rocky legacy. Rocky (Sylvester Stallone) is in his ‘70s. He looks it too. Everything turns over to a new generation, a new style, a new culture. Creed II makes a daring move out of Philadelphia for most of the runtime. That city belonged to Balboa; Creed belongs to Hollywood. Within the frame of boxing, Creed II seems self-aware. Adonis fights for recognition. He wants to be his father but better; to audiences a pop culture icon, to the film’s world a lasting sporting memory. He’ll get there, and not with James Brown’s backing or the camp of Rocky IV’s colorful (if determined) Cold War resolution. This is instead a brawl for status, to be acknowledged in a world where black cinema gains increasing, deserved praise. The first Creed did so too, yet found itself needing to re-introduce the old. 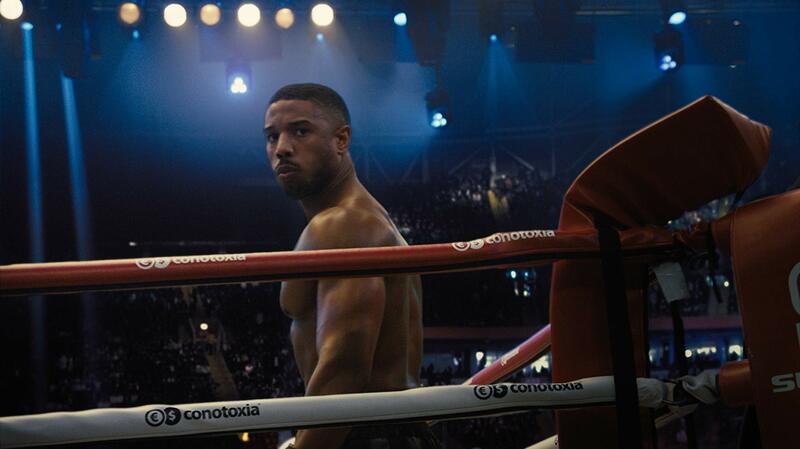 Creed II is freer, still on the same path, but divergent in approach. Balboa slips into the background of Creed II. He’s absent for much of it. Lundgren too, who speaks only a handful of lines. Adonis finds himself in the midst of a family, deepening his relationship to musician Bianca (Tessa Thompson) and reconnecting with his mother. Better still is Creed II’s handling of that homefront – the women never turn into the angry wife sports movie trope. When Bianca or Mary Creed (Phylicia Rashad) express dissatisfaction, they do so with an understanding of why. Because of its generalization of Rocky films, Creed II isn’t flush with surprise. Creed and Drago stand-off in the ring, Michael Buffer spews his catch phrase, and there’s only one possible finish. What matters is the build-up to that moment, that fight, and the interpersonal battles still being waged. Creed 2 does so with elegance, charm, dramatic bait, and thematic interest. Creed II realistically makes sense of one of the most absurd, obvious, and outrageous pro-America fables ever produced. In that alone, Creed II deserves praise; to take that and successfully output a contemporary fable, even more so. While hardly a film of surprises or one willing to break from formula, Creed II successfully takes the absurdity of Rocky IV and makes it plausible.